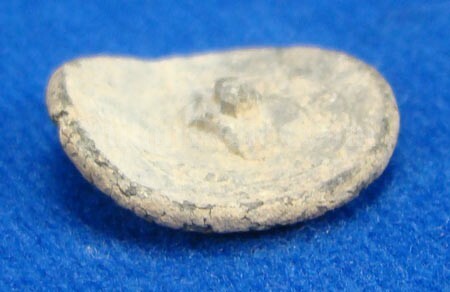 This is an original excavated uniform coat button from the 1820’s or 1830’s. This is the version with the small block style letters "US" on the face. 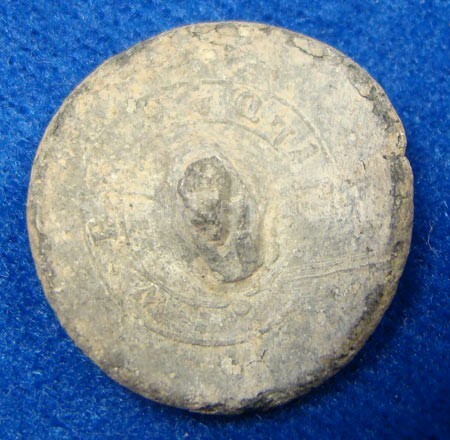 This is the general service button from just after the War of 1812 era. We know this because of the maker’s mark on the reverse. It still reads "WP / Philada”. This is the mark of William Pinchin who took over the business of George Armitage around 1825 and made buttons for the U.S. army into the 1830’s. It is made of pewter and displays well. The US on the face is still visible. This one is missing the original shank present on the reverse of the button. This piece is a variation of the style listed as GI30b in Albert’s button book. 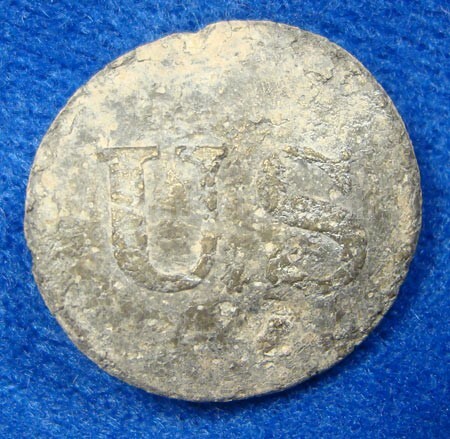 This is a nice and authentic "US" Uniform coat button with the scarce Philadelphia maker’s mark on the reverse.